A couple of weeks back, on the way home from near Astoria, Oregon, I spotted these large buildings and aircraft outside on display in McMinnville. Come to find out, it is the Evergreen Aeronautical and Space Museum, which is HUGE... Infact, this is where the famous Spruce Goose is now sitting, in all its glory. There are 2 large buildings; 1 houses the Goose and other vintage aircraft and the other houses the space missles, SR-71, Apollo 11, the moon vehicles and other aircraft. There is another large building in between, which is the theater. I took over 250 photos while there, which was about 3.5 hours. If you are ever out that way, I recommend this museum. Neat. 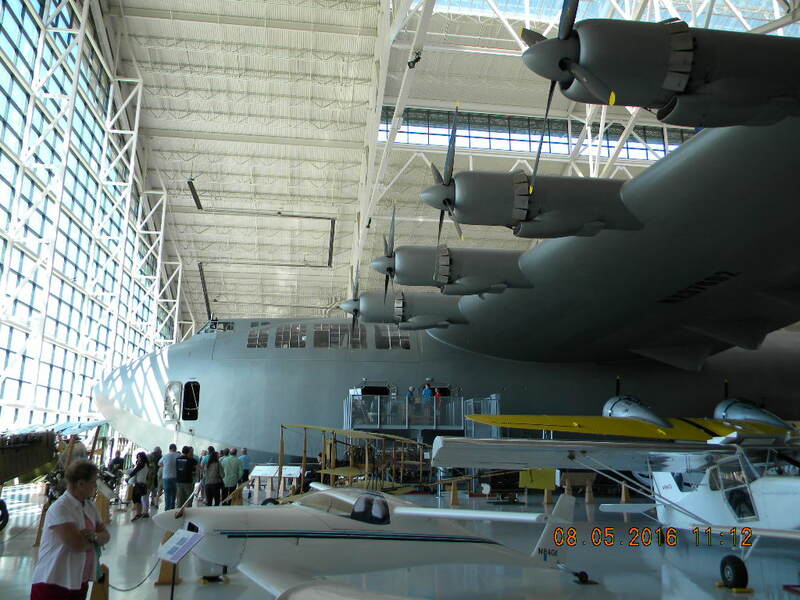 I toured the Spruce Goose back when it was in Long Beach (California). It's large. There are several others, Navy air in Pensacola, etc. So many museums, so little time. I wonder how much longer the Evergreen Museum will be open since Evergreen Airline, which owns the museum has filed Chapter 7 bankruptcy December 31, 2013. I read that the museum had been split off into a separate organization before the bankruptcy. I hope I'm right. Wow! How I wish I could visit Oregon and drop by the museum. All times are GMT -5. The time now is 08:54 AM.